For details of what we are reading now, and the dates of our next meeting, go to the Book Club page here . Well it was ok but…..
Well it was an easy read but too long. It lacked depth of a story, lacked a good gritty tale and there were too many characters. But it would be a good holiday read and it kept our interest in spotting local places within the book e.g. posh butcher’s shop. One could say that there was the lack of a good beginning, middle and end but it wasn’t that kind of book - it was more a case-study, albeit a very stereotypical one of certain characters, of life as it was like a couple of years ago in a London street. One of the key questions was whether the author’s predictions of life post demise of the banking industry actually happened? Well probably not to some extent, the ‘money’/’capital’ in the Capital is still around, the characters still exist. Would our non-London friends like it? Probably not, and perhaps we only really did because of where it was set. Well here was a book which followed the formulaic (1) pose a problem/situation (2) have a proper (but relatively weak) ending and (3) the bit in the middle describing the journey from (1) to (2). In that sense, it gave us satisfaction - but was this formulaic style of writing too predictable amongst authors? Ann Patchett had a similar style. But then again, who cares if it delivers a good tale – and it did. In contrast to the first book, it was better having fewer characters. It was atmospheric, a bit gruesome in places, educational (when was conscription introduced?) 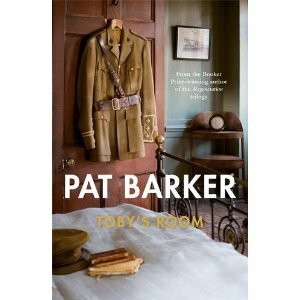 and gave a vivid description of what it was like for those at war and at home during the First World War.